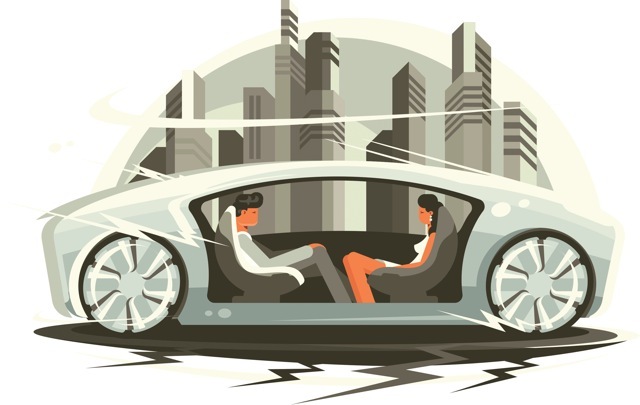 Americans have always been inventive when it comes to our transportation, dreaming of everything from self-driving cars with rotating seats, which would allow a family of four to play Monopoly as the car drove, to the much longed for flying car. Self-driving cars — though they still require an attentive human — are now on our roadways and they are changing infrastructure. 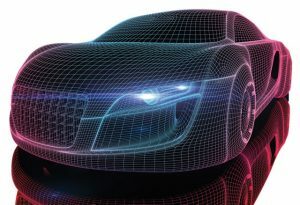 As I watched CBS “This Morning” in December, the innovations appearing in our infrastructure were driven home with a feature on Elon Musk’s prototype tunnel under Los Angeles, which he designed to avoid the metropolitan’s, in his words, “soul-destroying traffic.” Connecting the headquarters of SpaceX to a parking garage 1.14 miles away, cars — only electric ones to avoid filling the tunnel with fumes — descend 40 feet beneath the ground via a special elevator. The tunnel’s width only fits one car, which then continues using its self-driving capabilities to prevent crashing into the back of other cars that might be using the tunnel. It’s a promising approach. Personally, though, I’d be with CBS’s Gayle King, clutching the leg of the person sitting next to me, if I had to travel in that tunnel, which is, to put it lightly, a claustrophobic nightmare. But I also haven’t had to experience LA’s traffic, so the tunnel might ultimately be more desirable. This prototype tunnel presents interesting possibilities for the roadways of the future; perhaps more will go underground versus the once envisioned air cars. Musk’s Boring Company has already experienced some roadblocks when it comes to rolling out more tunnels. One planned project under Los Angeles’ Sepulveda Boulevard was withdrawn after community groups sued the government concerning plans to exempt Boring Company from an environmental review process. But the company does have plans for others in Chicago, D.C. and New York, according to the Washington Post. Until Boring Company creates new tunnels or self-driving cars take over a higher percentage of the automobile market, we’ll just have focus in on the transportation infrastructure we already have in place, accommodating the current vehicles already using it. Writer Andrew Mentock is highlighting Idaho’s efforts to do just that with the largest grant the state’s transportation department has ever received. The state will be widening a portion of I-84 west of Boise to better serve an estimated 95,000 to 100,000 vehicles per day. A lot of freight shipments — about $88 billion worth — also use I-84, making this a very important investment for what has been found to be the third fastest growing state in the U.S.
Other topics related to streets, highways and bridges include the use of downtown parking meters; Fort Collins, Colo.’s, winter program to keep 1,100 lane miles cleared of snow during the winter; the further use of bridge fencing to prevent suicides; and the Ohio Department of Transportation’s adoption of new mowing practices that keep pollinators in mind. While an intricate subterranean network of car tunnels might belong to the future, there are plenty of innovations occurring above ground, and I’m sure 2019 will bring more.